South Africa risks driving away new investment and crippling its mining sector if “reckless” new rules are implemented, according to AngloGold Ashanti [JSE:ANG] chairperson Sipho Pityana. The latest Mining Charter, which is aimed at sharing the benefits of the country’s mineral wealth more equally among South Africans, doesn’t provide solutions to the industry’s challenges and will make it difficult for companies to buy and sell assets, Pityana said on Thursday. “When the industry says to you that what you are proposing will kill the industry, you should sit up and listen,” Pityana said in an interview at Bloomberg’s Johannesburg office. Mineral Resources Minister Gwede Mantashe issued a new draft Mining Charter last month for public comment after a version published last year by his predecessor drew strong opposition and legal challenges from the industry. The Mining Charter, first introduced in 2004, lays out rules and targets for areas such as black ownership to help to redress economic inequalities stemming from white-minority rule under apartheid. The country has been mined commercially for more than a century and thousands of mostly black workers still labour in the deep and dangerous operations. 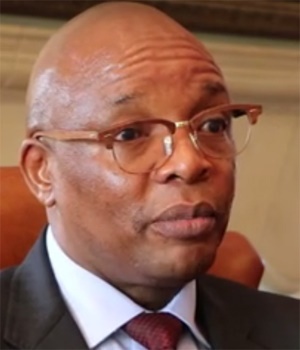 Mantashe erred in using his predecessor’s Mining Charter as a template for the new version, rather than starting afresh, said Pityana, who has been chairperson of Johannesburg-based AngloGold since 2014. Still, the latest version is an improvement and the two sides are likely to reach a consensus, he said. South Africa’s main producers’ lobby group has criticised a requirement for holders of new mining rights to give employees and communities free-carried interests of 5% each. Companies have also objected to a requirement to pay workers and communities 1% of earnings before interest, taxes, depreciation and amortisation in years when a regular dividend isn’t declared. South Africa has the world’s biggest reserves of platinum and manganese, and its mineral deposits also include gold, iron ore, coal, chrome and zinc. The country’s gold-mining industry - once the world’s largest - has been particularly hard hit, with output slumping for an eighth straight month in May. South Africa’s gold mines are the world’s deepest, with a depleting ore body that’s become expensive to extract, while producers also face challenges ranging from deteriorating safety levels to a volatile currency. While mining companies support the government’s wealth-redistribution goals, the current proposals threaten to harm the industry at a time when it needs nurturing, Pityana said. Negative perceptions about the new mining regulations could also have ripple effects through the entire South African economy, he said. “If you have gold miners desperately looking for investors and you say, ‘by the way, you also have to contend with this,’ I don’t think you are going to have a long queue of suitors,” Pityana said.